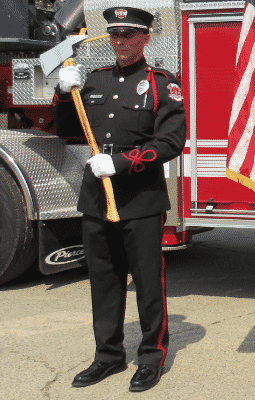 The dress uniform represents respect, honor and dedication of all Clackamas Firefighters past and present. A guard uniform shows no rank. Honor does not know rank, and respect is universal.